Josenhans FF ~ Li’l Jimy and Big Flounder! 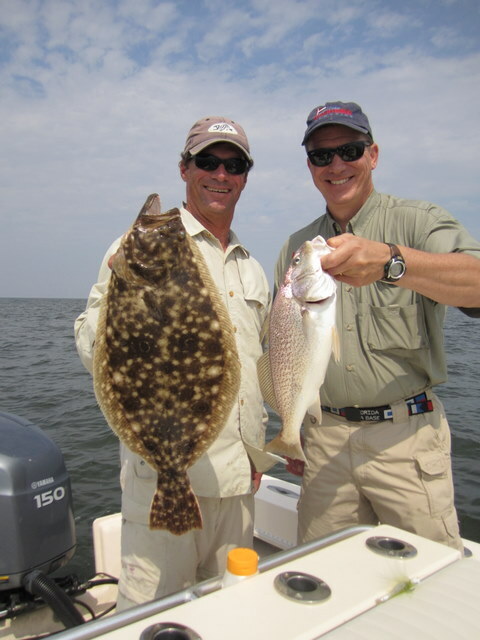 On Friday, June 17 I fished with George Lenard of Specialized Baits fame and friend Dave Gedra. 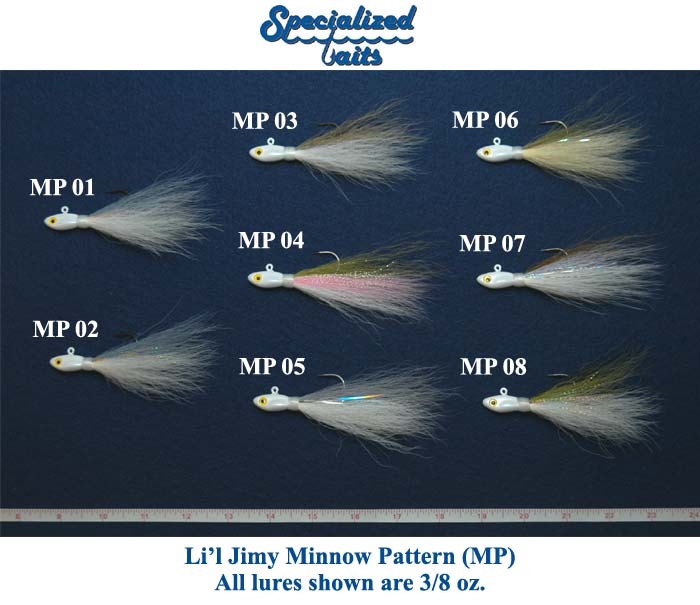 George’s hand-tied Li’l Jimy is one of the most beautiful – and effective – bucktail jigs on the market. 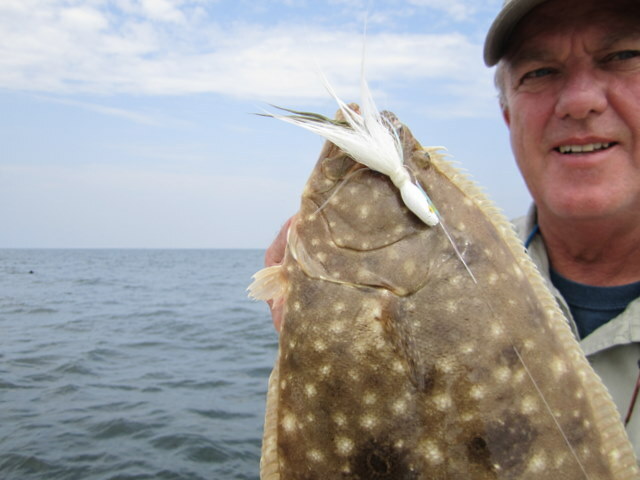 The Li’l Jimy is also a very versatile lure, as was evident by today’s trip. Rockfish, big flounder and jumbo croaker all succumbed to the tantalizing action of the Li’l Jimy. 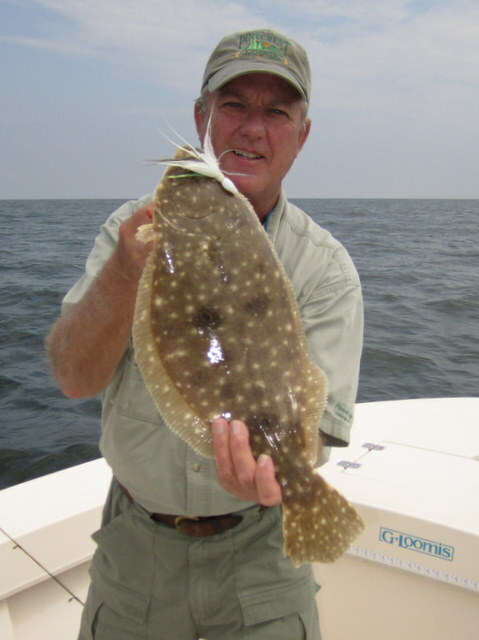 Flounder to 25-1/2 inches (six-pounds) and croaker to 17 inches were the highlight of the day. 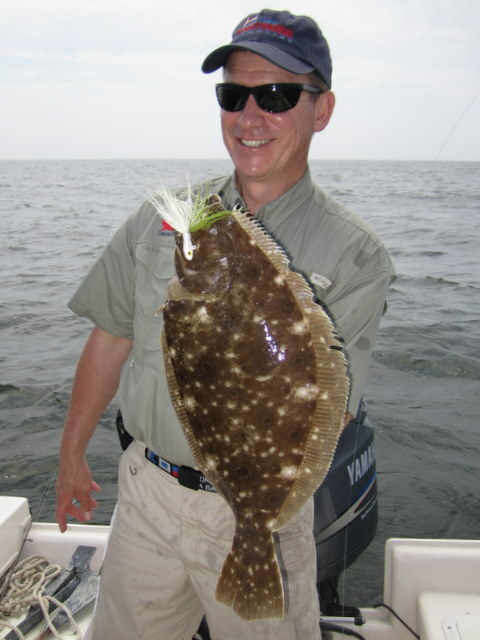 Fishing in Virginia waters we managed limits of big flounder all around. The flavor of the day was what George refered to as his Finger Mullet pattern in gray/white, with the 3/4 ounce weight being the top producer when jigged just off the bottom. Instead of running-on at the keyboard, I’ll let these photos do the talking. Dave Gedra had the Li'l Jimy talking to 'em!